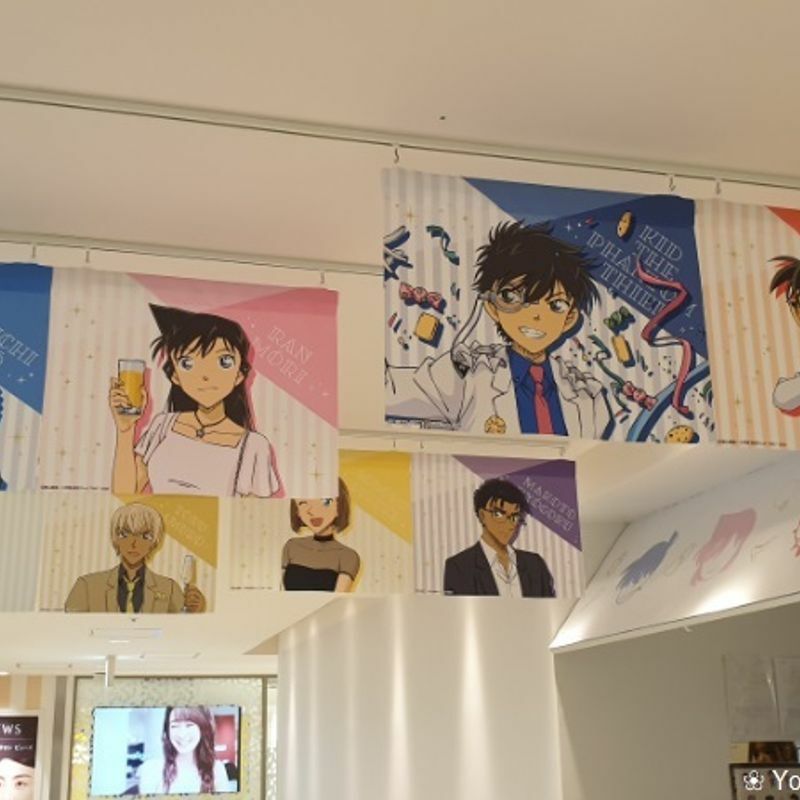 Every year a new Detective Conan movie is released in Japan and to celebrate this it also became a tradition to have Conan Cafés opened. In 2019 you can find 11 cafés in 9 cities around Japan, including Tokyo, Osaka, Sendai, Hiroshima, Fukuoka and more. Because I was a huge fan of the small detective in my teenager years I am still going to at least one cafe every year and because there are two cafes in Tokyo I decided to go to both. 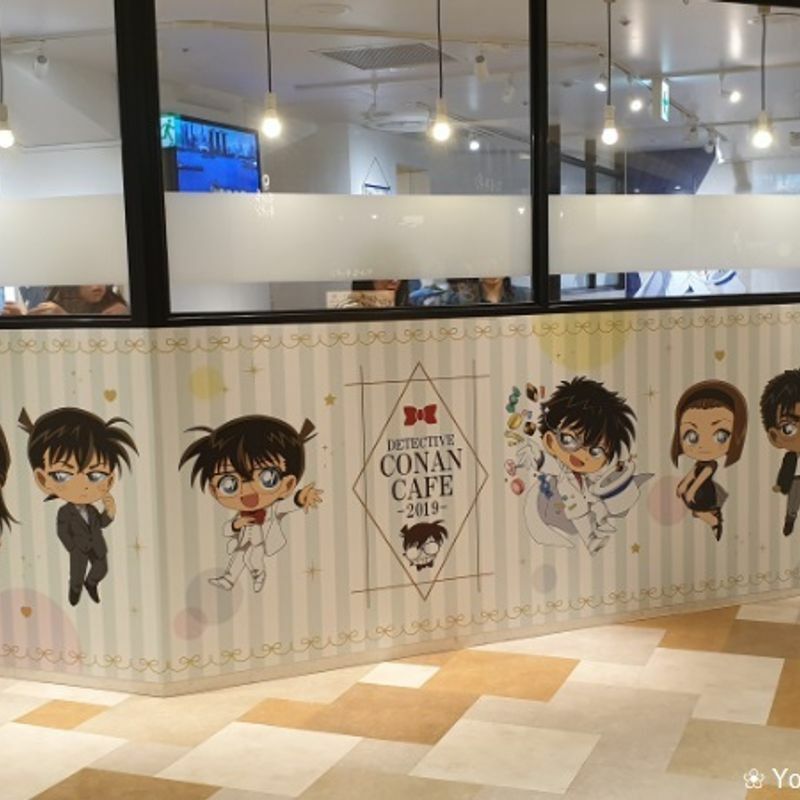 For the Conan Cafe in Shibuya you need to make a reservation - for sure, weekends and the Golden Week were booked out quickly, but there are still free seats on weekdays. I got my reservation after Golden Week in the beginning of May. 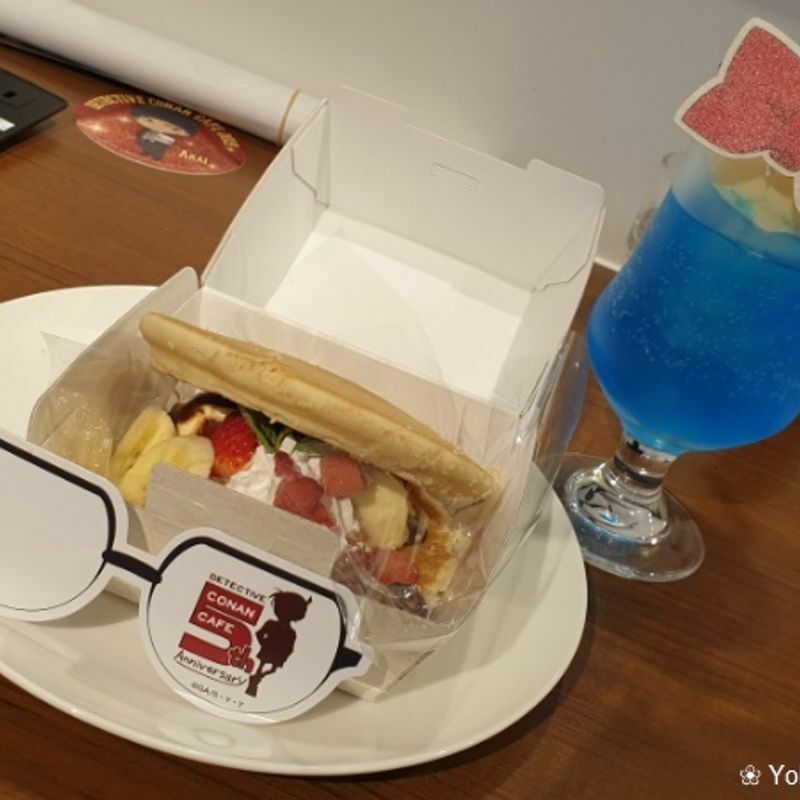 If you want to go without a reservation you can visit the café in Ikebukuro which is located at 7th floor of PARCO. On weekends and public holidays you might need to line up or get a waiting number, but I went on a Wednesday morning and it was not crowded at all. 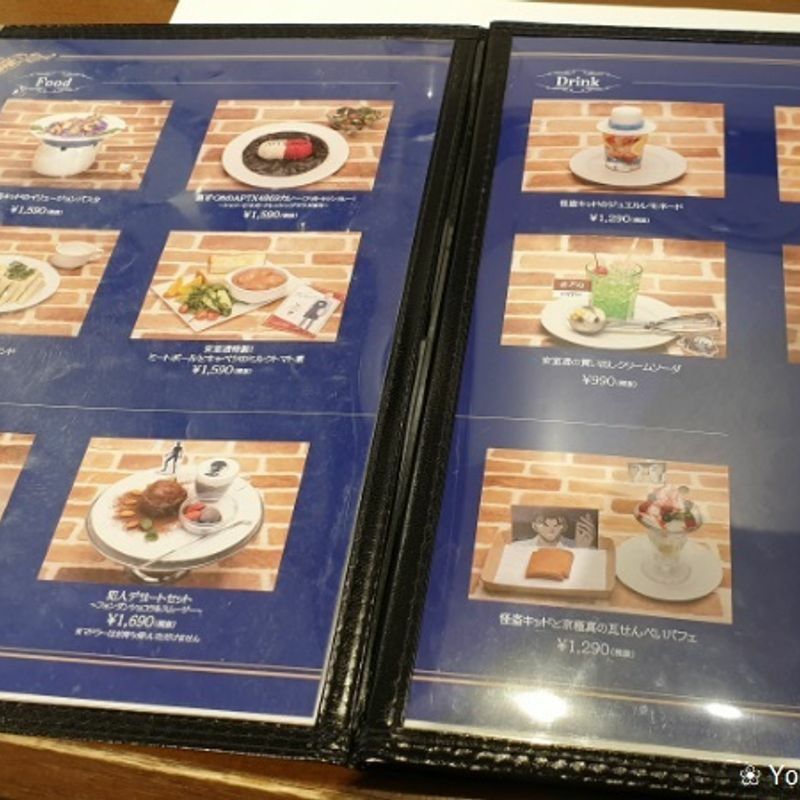 The menu of the Conan Café has some main dishes, desserts and drinks. If you go there regulary such as me you will remember some of them from the years before. All dishes have their unique design and there are some time limited dishes for special events, too, such as opening desserts or a special menu for Shinichi's and Kid's birthday. I decided to get the blue Conan drink with ice cream, which was very refreshing. Furthermore I ate the 5th anniversary pancakes which were only available until April 12th. The pancakes themselves were a bit dry, but I liked the filling with ice cream, fruits and chocolate sauce. For your visit you get a free lunch mat paper. With every drink you order you receive one random coaster. 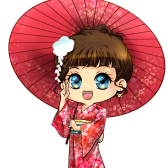 I liked my visit there and I am looking forward to go to the cafe in Shibuya with my friend in a few weeks. Then I gonna try something from the Kaito Kid menu.